One of the main focus areas this year for the human rights program is the capacity building of the Lutheran Church of Colombia (IELCO) in the theme of reconciliation. As the Colombian government and the Revolutionary Armed Forces of Colombia (FARC) are nearing a final signed peace accord, the IELCO has a great opportunity and responsibility to involve itself in the reconciling work necessary to build a country of peace and justice. The human rights program has offered a series of regional workshops regarding reconciliation throughout the year, here is an old post I wrote about them. While the main goal of these workshops was to hold discussions on the theme of reconciliation, sensitize church members on its importance, and build the capacity to get involved in reconciliation work, another goal is that the participants would then go back to their home congregation and replicate the conversations and activities. As the year is nearing an end, and we are in a process of evaluating the activities accomplished, I sent out a survey to all the participants to see how successful this secondary goal had been. The congregation of San Pedro (St. Peter) in southern Bogota had held its own workshop, specifically with children and their parents. Their goal was to get the children to feel free talking about the issues surrounding reconciliation from the house, to the church to the city and to the country. The workshop ended with many of the children proposing activities and concrete actions they could do to work towards reconciliation. 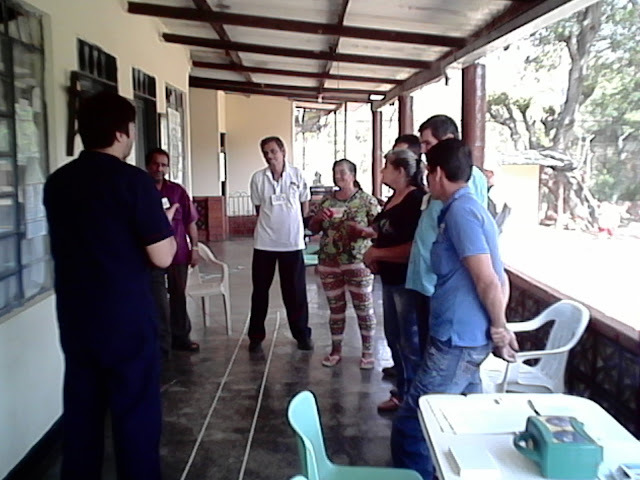 Members of San Pedro participating in their local workshop. Photo by Pastor Rocio Morales. More families of San Pedro in their workshop on reconciliation. Photo by Pastor Rocio Morales. The congregation of El Divino Redentor (The Divine Redeemer) in Bucaramanga has already been supporting a local project of reconciliation. It is a fascinating project, a farm, where people who have been injured by landmines with ex-combatants (many responsible for planting the landmines) can learn to work together to grow food, take care of animals and hold meaningful discussions about forgiveness, justice and reconciliation. 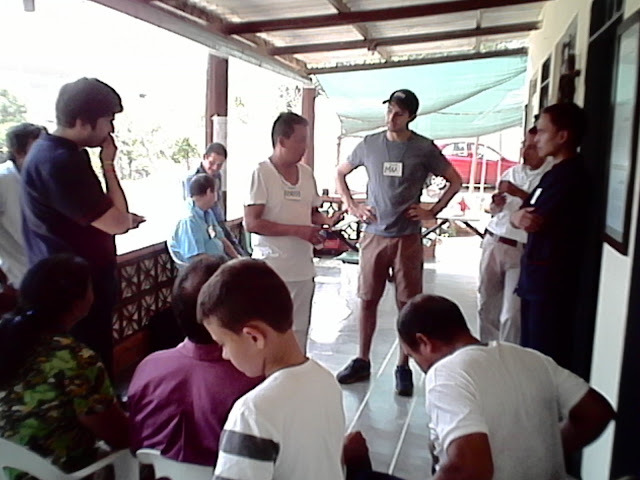 The director of this project participated in the workshop of IELCO, and also invited the members of Divino Redentor to participate in a day-long workshop to be held at the farm. Replicating the materials and activities of the workshop from IELCO, church members were given an opportunity to be directly involved in reconciling work in the country at a very meaningful and personal level. Participants at the workshop at the "Self-sustaining Farm for the Rehabilitation of Victims". Photo by Guillermo Gil. More participants at the reconciliation workshop at the "Self-sustaining Farm for the Rehabilitation of Victims". The congregation of San Pablo (St. Paul) in southern Bogota has been planning to end the year with a very special worship service, using the workshop on reconciliation as a basis. They are planning to have a worship service in nature, after a short hike outside of Bogota, to focus on reconciliation with all of creation. It will be exciting to see how these activities continue, how I can support them, and the ways in which they push the church towards its responsibility to work towards the reconciliation of the world.